Cincinnati Decorative Basement Flooring begins with Cincinnati Concrete Resurfacing. We are your source for the newest flooring styles and finishes without breaking the bank. With our system your basement can be transformed into a completely unique space you’ll love to show off. The only limit to your flooring choice is your imagination. The Cincinnati Concrete Resurfacing solution is durable, unique and affordable. Call us today to learn more! 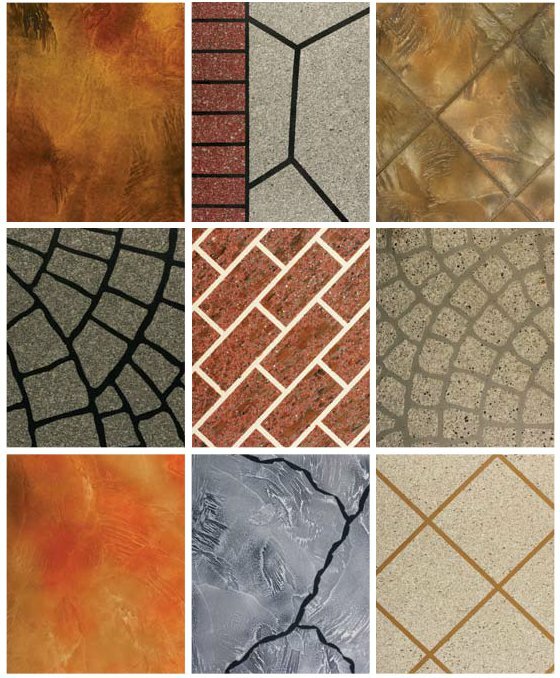 The CCR system can be installed in an unlimited number of designs, colors, patterns, and finishes. Our design experts can assist you in creating a layout that matches your current décor, or creates an entirely new space. Because basement floors are subjected to a wide range of activities, you can rest easy knowing that your new floor is backed by a 10-year manufacturers warranty. Installing traditional tile or stone is an expensive proposition. With the CCR system you can have a tile or stone look installed for a fraction of the cost. Traditional tile and stone can be broken easily. The CCR system is nearly indestructible and comes with a 10-year warranty. The CCR system is a customizable decorative basement flooring solution that can be anything you dream up. And, it will fit within any budget! Cincinnati Concrete Resurfacing is the expert in Decorative Basement Flooring. Decorative flooring adds value to your home and life to your basement. Your new floor will become the showplace of your home and become a conversation piece with everyone that sees it. What are you waiting for? Give Cincinnati Concrete Resurfacing a call today and speak to one of experts. Set up an appointment and your one step closer to the basement floor you’re looking for at a fraction of the cost. Our experienced staff will come out and help you make design decisions that fit your style and decor. Call 513-315-1661 today! Unlimited styles and colors are available. Patterns, colors and textures, anything is possible with our system!